Deer hunting or research, is a widespread application of trail cameras. Enthusiasts have clicked and recorded so many natural events and behaviors of deer using the same trail cameras. Although tracking these deer using the trail cameras requires lot of clever techniques to make sure you capture what you intend to and also accurately without wasting much of your time. 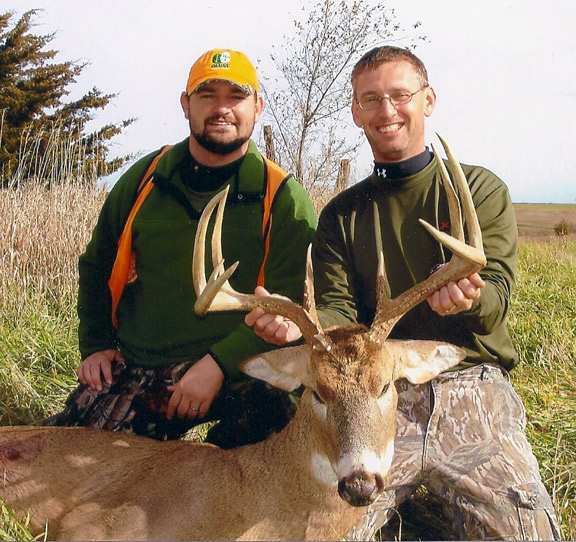 Planning for a deer hunt is very important in terms of the background or research required. The best pictures are when deer is standing still literally posing for your click. Best would be placing bait near the camera but by placing the camera to a position such that it is not visible to the deer, else you would miss out on the natural shot. Before all this, you need to do some research on the vulnerable spots where deer are expected to be located or spotted most of the times. If this research is not done, then you might end up wasting a lot of time. Deer are always on the move, but even that is possible to capture if you follow the techniques and utilize the camera wisely. Firstly, you need to find the types and nature of terrains that encounter buck movement and mount the cameras angling towards the trail to approximately 45 degrees. Also, bucks have a tendency of moving in funnels which is a tricky moment easily to be missed out as it is narrow to be recorded, but if you place the camera perpendicular to the funnel, you could get those moments too. How about, you get a deer posing right in front of your camera, but still your picture is not that great and does not really brings out the features of the deer. Well one reason could be the background. If your camera is facing a background which is full of woods or trees that would somewhat merge with the appearance of the deer, then captured image would not be that great. Best would be to place your camera facing a dark or contrasting background, so that the captured image makes the visibility of the deer extremely clear and appealing. As we know, deer are always vigilant and alert about any potential dangers around them. They are able to smell and judge such movements from a long distance. That is why the placement of cameras needs to be handled cleverly such that they are placed at right angles capturing the deer and not just its trails but also is hidden from the deer so that you get access to the natural behavior. It depends on the sensors imbibed in the cameras to a great extent, how well the camera captures the animals and how closely. Sensitivity is a flexible setting of these trail cameras and hence should be adjusted according to the surrounding area. Like, for low and dense areas, the sensitivity should be set at low, else there are chances of reacting by recording even tree or bush movement due to a gentle breeze which might not be of any use to you. Likewise, for long and empty areas, even slightest movement or action could help capture the deer from a long distance and hence sensitivity should be set to high. If your cameras are placed facing the sun, then resulting temperature changes could spoil your efforts and the results. The changing temperatures and resulting breeze could trick the sensors in to detecting the game changer capturing only leaves and vegetation nearby instead of actual deer moving around. So kindly keep the camera away from the sun rise or set direction. For capturing or researching any animal, the best and the first method is the bait. So once you have selected the possible locations that are inhibited by the deer, get to locations for placing cameras where there is abundance of food and water sources. This would increase your probability of shooting on the deer earlier. Deer are a very interesting kind of animal that have been researched and hunted for years now. These trail cameras have added to the efforts put in by hunters and researchers and have helped them enhance penetration in to the life of these species.